Are you searching for a free offline music app and you can’t find the best one for android phone? Don’t worry because in this article, I have mentioned some the best free offline music app. If you search on the google play store for music app, you will find two types of music app. The first one is online music app and the second one is offline music app. So in this article, the offline music apps are being discussed. There are two types of offline music app the first one is paid and the second one is free offline music app. So first of all, we will know about some best offline free music and then we’ll know about paid offline music app for android phone. Music apps provide the best music and you can also search your favorite songs. The Free music apps allow you to download the music from there. If you want to create your own list, it will allow you to do this. The given apps has got the highest rating, and most famous among the music lovers. So if you also want to download the given offline music app, just read the given description and download according to your taste. Gaana music is one of the best offline line free music apps for Android users. It has the best quality music and songs and this music app also update newly released song rapidly than other music app. Gaana is also most famous music app, as you have heard many times about this app. This game has large collections of songs weather it is international or national songs or it is town songs. You can choose music quality to customize data charges and if you want to download the songs, you have to pay for this. So if you want to download this fabulous music app in your mobile, just follow the following link. 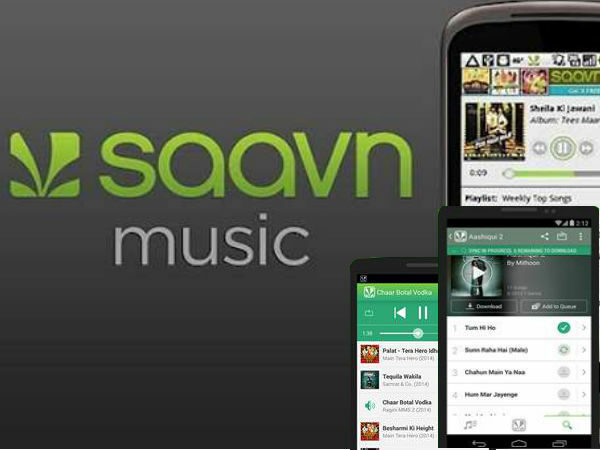 Saavn Music is another on wifi music app for android phone. Saavn is very famous and it has also large collections of every type of songs as national and international, Bollywood, Hollywood, small town, album etc. It has connected to many radio stations and every radio station play songs of difference genre as sad songs, soft songs, party songs, Gazals and quailsh. So you can choose the genre which you want to and play songs according to your mood. It has the best quality songs and choose according to your internet connection strength. Saavn’s followers are increasing and it is going to be the best offline music app. There is a search option in this app, so if you want to download any app in your mobile, just follow the following given links. Songs, Radio & Videos- Hungama is on the third number in the list of offline free music app. Hungama music app has the best platform for playing songs. This music app given free feature of unlimited access and the best collection of old to the newly released songs. So get this song or music app and get millions of songs of your country and international songs. Search by song name, album name, or artist name and get the best result and play the songs according to your choice. Almost 4 million people downloaded this app and if download this app, you will pocket up at least all songs. You can also make your favourite list of songs and save in this app. So download it to your mobile from the given link. Free Song Player, Mp3 Streamer- Free Music is another best offline music app for android phone. The Free music app is absolutely free for android phone on google phone. It has a beautiful interface and user friendly platform. Create your own list and you can also repeat and shuffles the songs. You can also change the quality of songs to save your internet data because high quality consume more data than medium and low quality songs. It is only mp3 streaming app and you can also download mp3 songs from here. So if you want to download this app in your mobile, just follow the given link in your mobile. 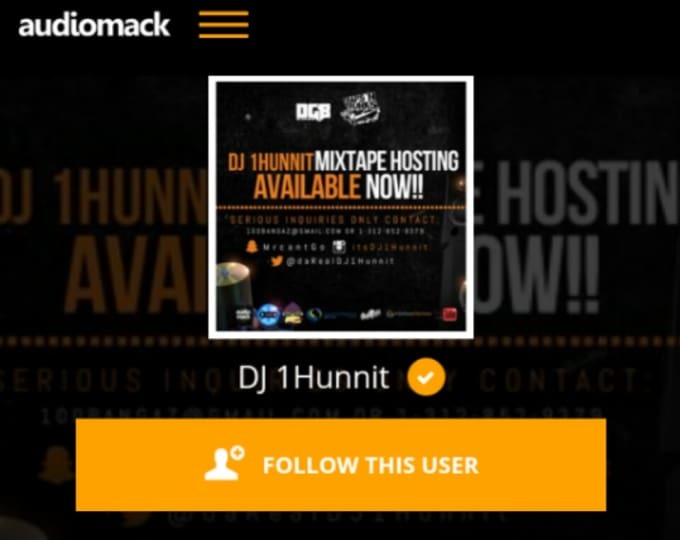 Download New Music- Audiomack is another best rating and got a large number of downloads and also available on the google play store. It allows you to stream newly released songs and album and hot very famous songs and every type of songs right your finger tips. Create your own playlist according to your taste. It allows you to search songs by its artist, album, song name and film name. So you can enter what you remember about your favorite and find it right there. This music app has a trending section where every trending songs is updated by the app developer. Don’t need to search newly released songs, just tap on the trending songs and get it right there. It has also many types of song list as love songs, DJ songs, Rock songs, soothing songs so on. There are many types of songs available here. So if you want to download this fabulous songs in your mobile, just follow the following links. Free Music & Player- Songflip is one of the best offline free music apps for Android phones. It allows you to search and stream millions of free available songs. To discover newly hits and released songs by going to trending songs options. It allows you to create your own list, which you can listen later. Find every genre as hip hops, rock, love songs, romantic songs and sad songs. If you once download songs, it will be offline for you and then you can listen this song in your mobile without internet. So if you want to download this beautiful song in your mobile, just download it by following the given links. Free music plus is another best offline music app which is available on the google play. It got the best response from its users. Use it as your local music player and you can also play video with this music app. It will provide you a list automatically according to your preference. Search the song which you want to play and add it in your favourite list, if you want to. Listen online free music but it will charge more data than offline. Search and download songs of every category as rock, hip hop, romantic, sad and love songs according to your taste and mood. You can choose the quality of playing songs as high quality, medium quality and low quality. If you choose high quality songs, it will charge more data than medium and low quality. So if any songs is buffering more than usual, just change the quality because it is happing because of slow internet connection. You can also merge your sd card’s and phone memory’s songs in this app to use it as a default music play. So if you want to play this free music app, just follow the following link. Wynk Music app is another most famous offline music app and it is created by Airtel company. You can find songs from newly released songs to oldest songs here and also international songs of your favourite artist. This app covered all types of music app. So you can listen the music at that time what you want to listen. If you don’t know the song name or you want to listen songs of any singer, just write in the search bar. This app will show you all song of that singer. Wynk Music is one of the most famous and best offline music apps where you can listen your favorite and newly released songs online. So if you want to download this song, just follow the following link in your mobile. Music Player is also one of the best music apps where you can listen offline songs freely. This app is absolutely free for Android users. It is available on the google play store. With a quick search bar, all new released songs and all other types of music available in this app. It supports all music formats. You can browse according to your wish as artist wise, song wise, movie wise or new or old song wise. It has best equalizer and more than 30 pre- set tunes as classics, rocks, jazz, folk, etc. You can also see the lyrics of every song. It supports in all handsets so if you want to download this app, just follow the following links in your mobile. 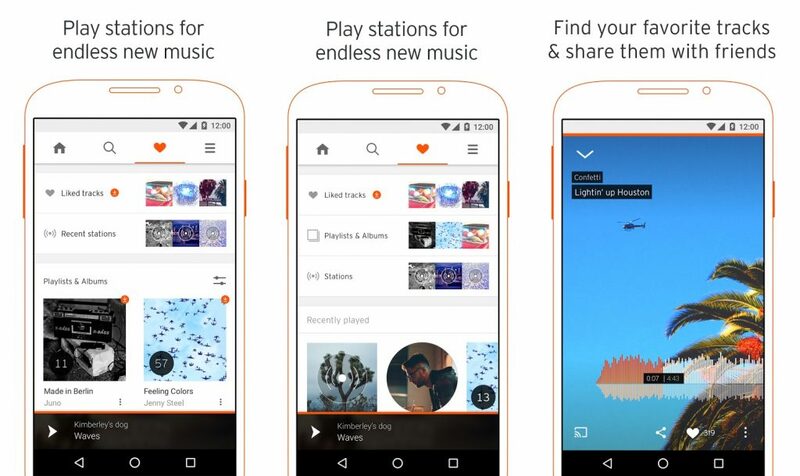 SoundCloud is another best music player app for you to download. It is very interesting and the best offline music app. It has all the quality which a best music app should have. You can find easily your favorite song by searching in the search bar. Lots of songs are available in the app as national, international, urban, village, state songs and many other songs. So you can enjoy the song which you want to play. The developer of this app uploads regularly new released songs. So you don’t want to go any other app or browser to know which song is newly released. You can also search songs by its singer’s name, movie name and album name. So there are lots of features available in the SoundCloud which you can easily use. So if you want to download it, just follow the following links in your mobile. Pi Music Player is also one of the best music player for Android phones. This app has largest collection of every type of songs as national, international songs, urban songs, state songs and many other songs are available in this mobile. Pi Music player has got over five lakh downloads and best review from its users and all these data proved that it is one of the best music players. Pi music player regularly updates its quality and newly released songs. So you don’t have to go to any browser to download the latest songs. You can listen easily all that songs in this music player. This music player is easily available on the Google play store. If you want to download this music app, just follow the following links. To download in android Phone: Pi Music Player. This entry was posted in Uncategorized and tagged apps that let you listen to music without wifi, best offline music app, free music download for offline listening apps to listen to music o app to listen to music without wifi or data, free offline music apps for Android, music apps that don't need wifi to listen to music, offline music downloader on January 21, 2018 by satyenhacks.